Sometimes, the simplest option is the best option. A basic gas-powered push mower is a great tool for small yards. The mowers available from Bolens don’t offer many bells and whistles, but they will cut your grass. One of the available models also gives you the option of mulching the clippings as you mow. When choosing the right mower for your lawn, consider lawn size, grass type, and what you want the mower to do. When you’re doing yard work, one of the most important pieces of advice you can remember is to choose the right tool for the right job. 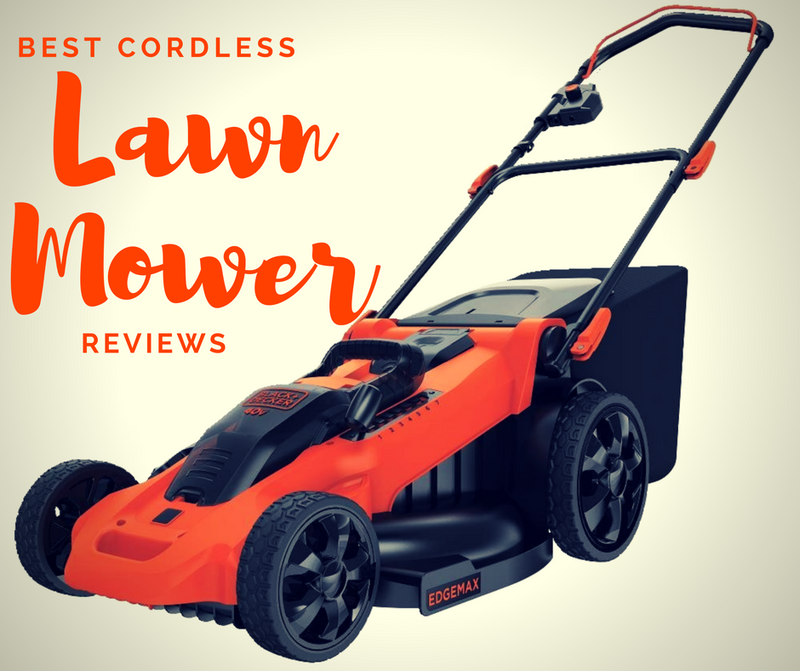 When you look at the feature of a Bolens lawn mower, it might not seem to offer much, especially if you’re comparing it to fancy ride-on tractors or heavy duty zero turn machines. But for some lawns, a Bolens push mower is really the right tool. If you have a smaller lawn (less than one acre), here are some features to keep an eye out for when choosing a mower. One thing to be aware of is the cutting height options offered by the mower. Some push mowers brag of having five or seven different height options. Others have just three. It’s not so much how many cutting heights your mower has that matters. That’s covered a bit in this video by an awesome young YouTuber. What matters is whether the height range is appropriate for the type of grass in your lawn. For example, many grass varieties that do best in warmer regions tend to have a taller cutting height than cooler season grasses. If you’re growing warm season grass and your mower doesn’t have a cutting height high enough to accommodate the grass, you risk damaging your lawn. How the mower handles the grass clippings is another feature to consider when choosing a machine. Some mowers have what’s known as a 3-in-1 feature. They give you the option of mulching the clippings, having them collected in a bag behind the mower, or spraying the clippings to the side of the machine as you mow. There are benefits and drawbacks to either option. If a mower is capable of collecting the clippings in a bag, then you don’t have to worry about raking up the grass trimmings after mowing. All you need to do is empty the bag somewhere. A mulching mower chops the grass clippings into tiny pieces, so that they integrate back into the yard more easily. Some people prefer to the use the mulching feature, since it allows them to feed their lawn at the same time that they mow it. A side discharge is the least exciting discharge feature. It simply sprays the clippings out to the side as you mow, scattering them over the lawn. Some people don’t mind the spray, since they think that leaving the clippings alone is better for their yard. Others find piles of grass clippings unsightly and would rather use a mower that collects or mulches the clippings. Push mowers come in a range of sizes. The wider the mower, the fewer passes you’ll need to make over the lawn as you mow. Generally speaking, you’re most likely to find push mowers with cutting widths of either 20 or 21 inches. Push mowers can get their power from a variety of sources. Old-school reel mowers are powered by you. They feature a reel blade the spins as you push the machine across the grass. Reel mowers have their advantages, but the biggest drawback might be that they can be incredibly tiring to use. They are also usually smaller than gas-powered push mowers, so you need to make more passes over the lawn to get the job done. Electric or battery-powered mowers are usually considered the second most eco-friendly pick (you-powered reel mowers being the first). While these mowers don’t depend on fossil fuels and don’t release carbon into the atmosphere, they also tend to be much less powerful than their gas-powered relatives. An electric mower is limited by the length of its cords or the length of its battery life. Meanwhile, many gas-powered push mowers can go a long way with just a small amount of gas. They also generally have more oomph and power than electric and manual mowers, so they are better suited for cutting coarse or thick grasses. Of course, gas powered mowers aren’t perfect. They do burn a fossil fuel and release carbon into the atmosphere. They are also a lot louder than manual or electric machines and they require fairly consistent maintenance. You’ll need to keep filling them up with gas, replacing their oil and changing their filters if you want the mowers to keep working well. One rule of thumb to follow when using a push mower is to always mow forward. While ride on mowers have the option of going backwards, you can’t use a push mower in reverse. You also want to be careful about where and when you use a push mower. Only mow dry grass, as wet grass can clog up the blades and can be slippery to walk on. Try not to mow on inclines that are steeper than 15 degrees and keep the mower away from drop-offs or edges. Pushing the mower off of a curb or into a ditch can not only damage it, it can also lead to injury. If you are looking for a simple, bare-bones mower, one of Bolens push lawn mowers can be ideal for you. The company produces two push mowers (it did produce ride-on mowers, but these have been discontinued). The simplest model, the 11A-020W765, features a 20-inch cutting deck, cutting heights between 1.25 and 3.75 inches, and side discharge for grass clippings. It’s a good option if you’re on the market for an affordable, absolutely no-thrills gas-powered mower. The more advanced model, the 11A-B0BL765, has a 21-inch cutting deck and a 2-in-1 discharge option. Along with side discharge, you can choose to mulch the clippings. It has the same cutting height features as the 11A-020W765 model, but a slightly more souped up engine. It has a 140cc engine, compared to a 125 cc engine. If you have a small, flat lawn that doesn’t have very tall grass, either Bolen push lawn mower option should work for you. But if you are looking for a more feature-rich mower, you’ll need to consider other brands. For example, if you want a 3-in-1 mower, which gives you the option of collecting clippings in a bag, you might prefer the Briggs & Stratton 3-in-1 Push Mower. Along with a bag for catching grass clippings, the Husqvarna model also offers more cutting height options than the Bolens mowers. People with larger lawns or more uneven terrain might prefer a mower that’s self-propelled, like the Yard Machines 300 Series Mower. It offers features similar to the Bolens mowers along with the addition of front wheel drive self propulsion. Sometimes, though, the simplest option is the best option. If you don’t need much from your mower and don’t mind the maintenance gas-powered machines require, a Bolens lawn mower can be the perfect pick for your yard.